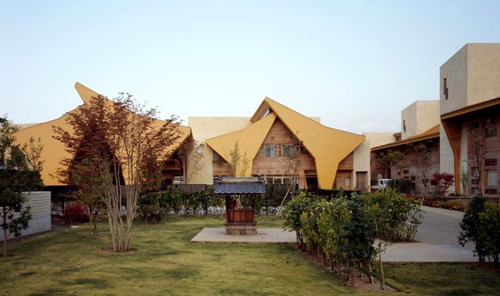 The steeped roof pitch and abstract branch-like structures clad in yellow gives the school a unique identity that they can call their own. 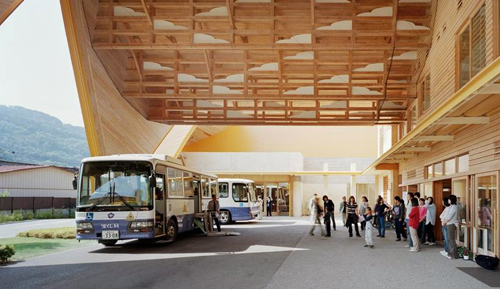 The choice of materials and construction has meant a low energy consumption and carbon dioxide emissions. 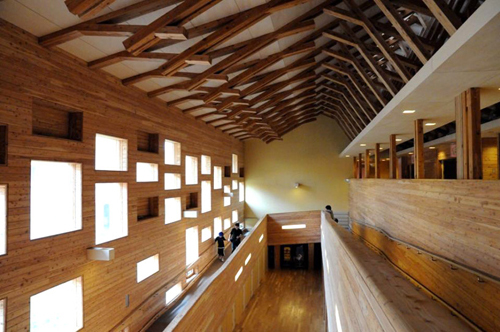 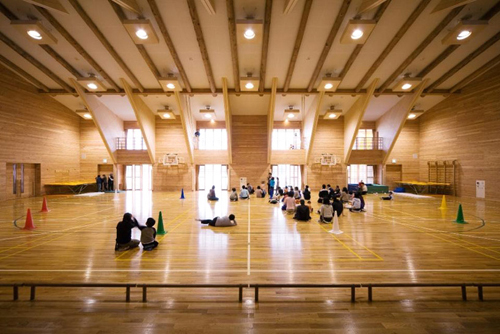 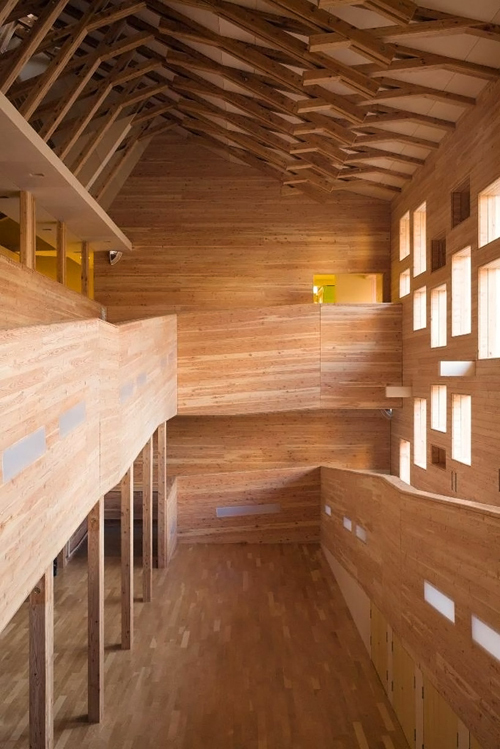 The use of traditional construction techniques and natural and local woods, creates a beautiful, healthy atmosphere - promoting comfort and exploration. 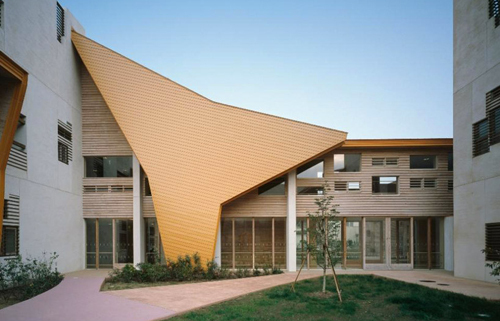 Overhangs and louvres control the amount of light to flood into the interior - whilst different sized windows speaks of a child-scaled architecture - breaking down the fairly large facade. 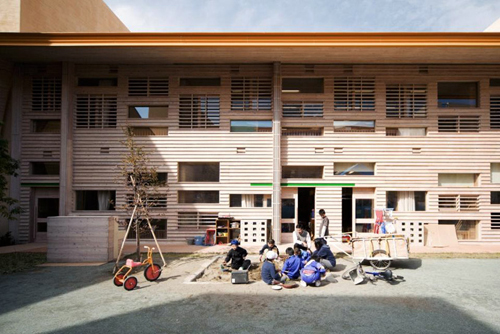 Overall it is an architecture that fosters community - serving the needs of both children and adults alike.